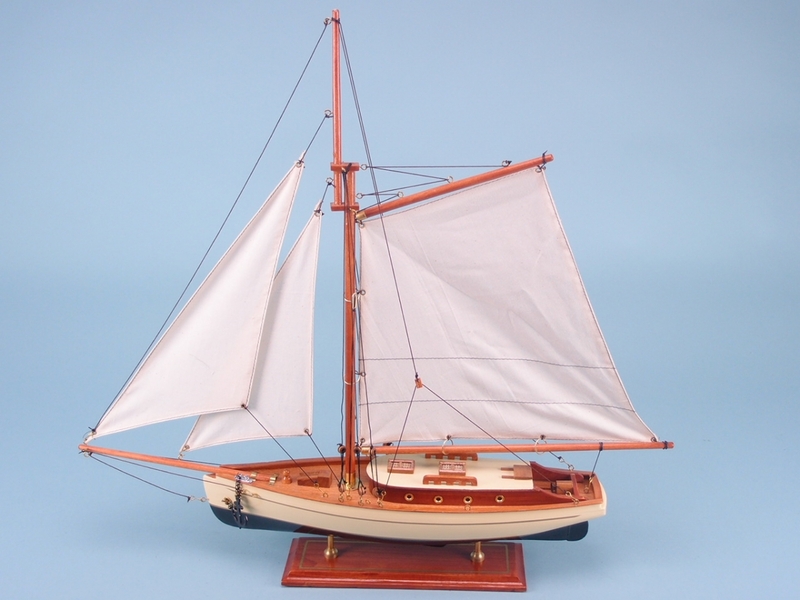 Treat yourself today and give into your naval enthusiasm with this ‘Old Fashioned Style Yacht’. This wonderfully detailed piece of nautical memorabilia will make for a worthy addition to anyone’s boat collection. The authenticity seen in this old style of yacht is rarely seen in models nowadays so it’s worth picking up. 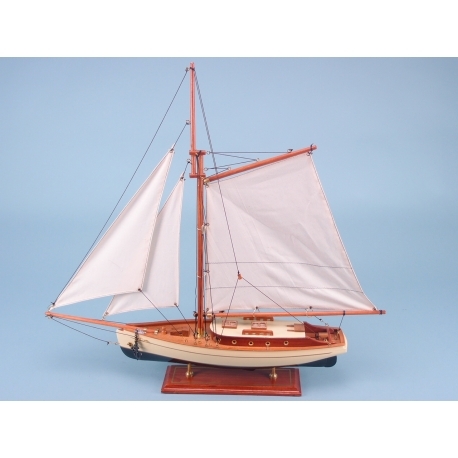 This ‘Old Fashioned Style Yacht’ is the perfect piece of memorabilia for any boat or model enthusiast. Crafted with authenticity in mind, this particular model accurately represents yacht designs of the past. The fine details of this product such as the gold-tinted windows on the cabin and the cream finish on the hull make this yacht an eye-catching piece. All of this is displayed on a classy wooden stand that looks great on any mantelpiece or table top. This is a top-end model by any standard and is a must-have addition to any collection.